Windows 8 gives you a “monitor first” approach, which provides informative activity reports for each child. 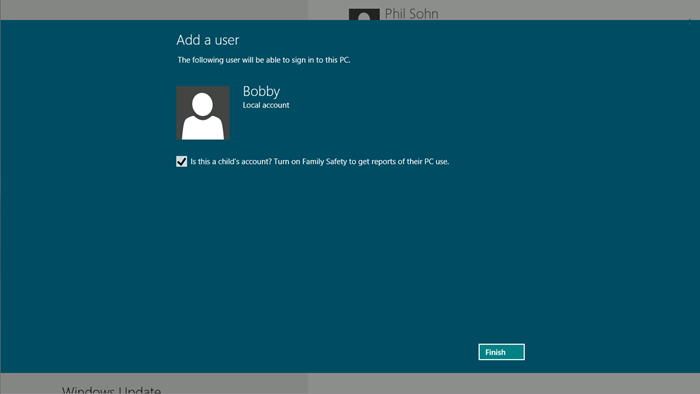 Signing in to Windows 8 with a Microsoft account makes setup much simpler: just create a separate user account for each child and then check the box to turn on Family Safety. As soon as you do, you’ll receive a welcome email followed by weekly email reports summarizing your child’s computer activities. We expect you’ll find activity reports a great tool for teaching your kids about responsible computer use. Of course, you can also easily add restrictions by just clicking a link in the activity report. With the simplicity of activity reports, we believe more parents will adopt Family Safety, resulting in a safer computing environment for children. somebody know it is possible to use windows 8 but with to looks like windows 7?